Liparis loeselii. Dave Taft. before 2016, Staten Island, NYC. 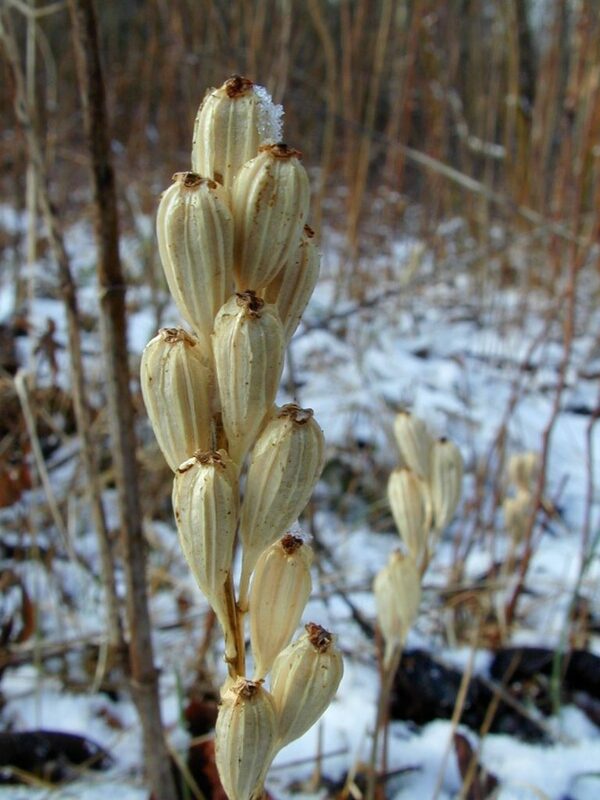 Liparis loeselii is a perennial monocotyledon herb, 10-25 cm tall from a corm. Leaves basal, two, elliptic to lance-shaped, folded slightly along midrib, blade 5-15 cm long, 2-5 cm wide, margin smooth (entire). Flowers greenish-yellow, bilaterally symmetrical, sepals 3, yellow-green 0.5-0.6 cm long, linear; petals 2, 0.5 cm long, lip 0.5 cm, broadly egg-shaped, much wider than sepals; flowers on stalks (pedicels) 0.3-0.5 cm long; inflorescence spike-like (a loose raceme) of 2-12 flowers; on stalks to 0.5 cm long; blooming May-July. Liparis loeselii. fruit capsules. Dave Taft. mid-winter. Fruit a dry, 3-parted capsule, ca 1.2 cm long (Radford et al. 1968), seeds minute, powder-like, wind dispersed. All orchids need to associate with a particular fungus (often a pathogen) in order to grow. Frequency in NYC: Rare (NYS Exploitably Vulnerable). 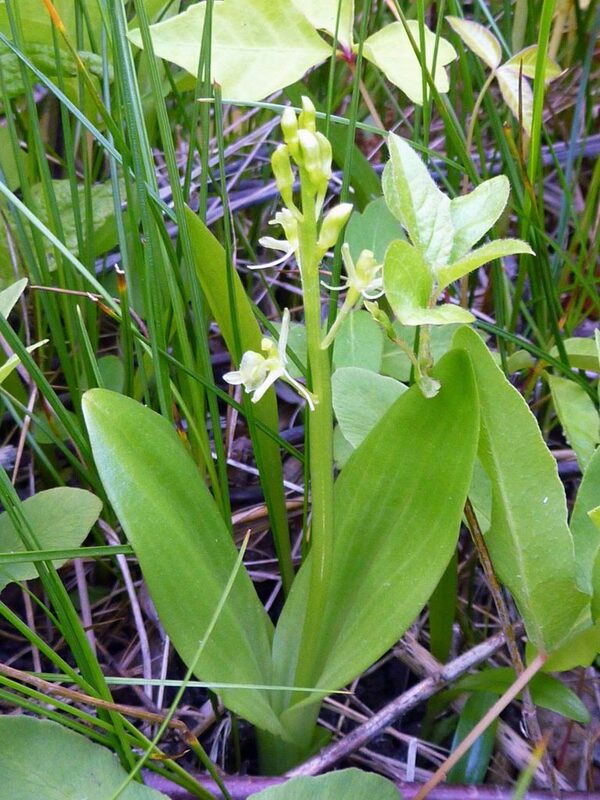 Note: Like all wild orchids, Liparis loeselii cannot be transplanted as it will not live.